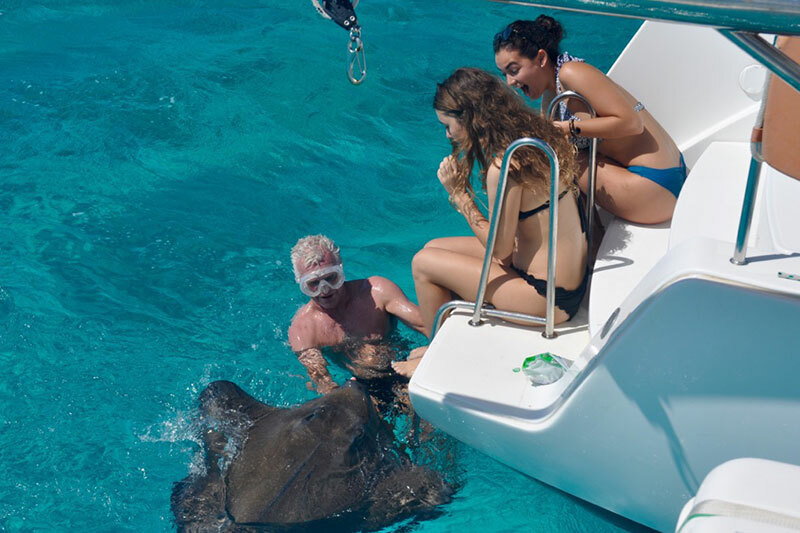 Catamaran Charters Cayman neil@sailcayman.com +1 (345) 916-4333 https://www.caymancatamarancharters.com/ Cayman Catamarans" is the newest sailing catamaran introduced by the parent company Sailcayman Ltd; established in 1996 Sailcayman is one of the longest established and well respected Private Charter Companies in Grand Cayman. We offer Cruising around Grand Cayman, The Sister Islands and Cuba, its a 2 night Minimum (Grand Cayman Only) and depending on your adventure a maximum of 6 nights. Breakfast, and Light snacks/Lunches are arranged to order, with Dinner options onboard or at an array of local restaurants. As these Charters are very personal/specific please email or call to discuss. Reasonably priced at US$2000 per 24 hour period we take a very maximum of 8 people, for Ultimate comfort we suggest 2-6 guests. Snorkel gear, life jackets, snorkel vests, and or "Noodles". Bottled Water, Sodas and Juices. Light Snacks and a Fruit Plate. In addition we can arrange to provision with your choice of Beer, Wine and Liquor (My cost is your ) or BYOB. We accept Visa, MC, Discover and Cash. Copyright © 2019 Catamaran Charters Cayman. All Rights Reserved.